I’ve had the Chromebook for a while and I’ve used it off and on over that time. A few niggles would creep in here and there, namely due to the offline access. Yet, this didn’t prove to be to problematic most of the time. It’s main use seemed to be as a second machine as the girlfriend would often use it when she was round to browse on, whilst I would use the iPad. For this it was great - she could sign in using her Google login and everything was synced, just like her Chrome install at home. This is where Text comes in. 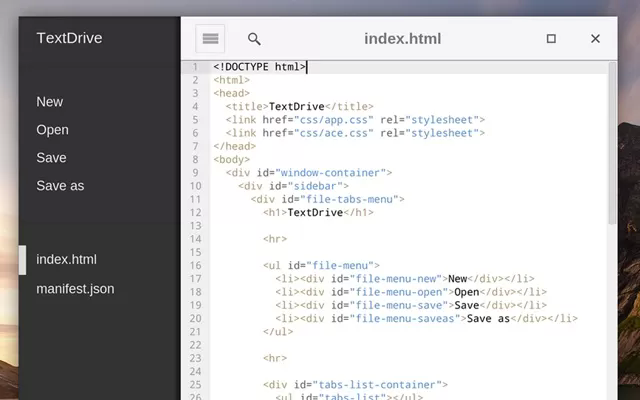 It lets you edit any text files you have downloaded and lets you work on them offline. A lot of my files are actually text files (Markdown normally, or LaTeX for my academic writing) and therefore I needed access to these when I offline, or at least I would need to create new files offline to let me add the information to existing files when I got back online. When I first got the Chromebook, this was next to impossible. I had to put it into developer mode and then use Vim in the shell to make edits. Long winded and annoying (I dislike Vim - I’m more of a nano fan if I have to use a text editor on the command line! - mainly because I can never remember the commands for Vim). It even features syntax highlighting for various programming languages, one of which is LaTeX (though very basic, in comparison to Sublime Text or Textastic on iOS and Mac). However, it does make the LaTeX file somewhat easier to read, even with basic syntax highlighting. With the addition of offline text editing capabilities, the Chromebook has become a very decent editing tool (for those that rely on plain text). I have an iPad which is useful for making edits, but for some serious writing, the Chromebook, with it’s built in keyboard seems to win out for long note taking. A shame Google Docs lacks working on some of the more complicated Word document templates (for example, my office ones which include A3 style reports).